How the clutch works Bolt to engine block Pressure plate The flywheel is bolted to the rearend of the crankshaft. Part of itssurface mates to the drivenplate. The driven plate is located onthe splined end of the gearboxinput shaft, through which istransmits power whenclamped between the flywheeland pressure plate. Clutch operation startsat the pedal. 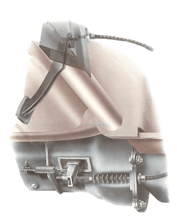 It isconnected to either acable or a hydraulicmaster cylinder. The gearbox inputshaft is splined tocarry the drivenplate. 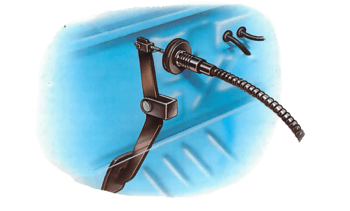 The release bearing isoperated by a fork. Bell housing The clutch cover plate isbolted to the flywheel, andits diaphragm springclamps the driven plate tothe flywheel. The tongues of thediaphragm springspoint inwards. 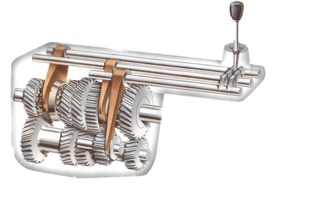 When theclutch pedal isdepressed, the releasebearing pushes againstthe inner rim of thediaphragm, releasingclamping pressure onthe driven plate. Hydraulic clutch system Master cylinder Operatinglinkage Slave cylinder Flywheel The mastercylinder pumpshydraulic fluidin direction ofthe arrow.